on any input channel of your mixer via insert. PA systems via inserts on the Main Outputs of your mix. One example use would be to dedicate one "channel"
"channel" for the Mains FOH (Front of House) Mono mix. 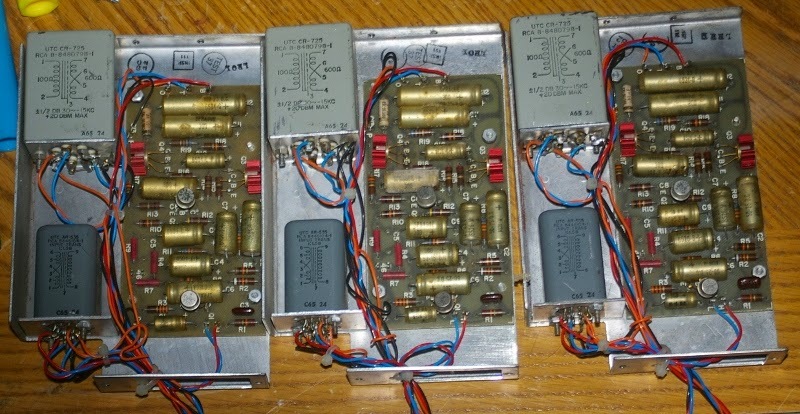 for testing or tone-shaping or corrective EQ. 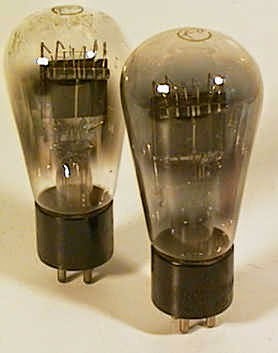 On some units for sale used, you will see damaged front knobs. making them susceptable to damage, unless precautions are taken. A metal railing or recessed mounting is advisable. I suspect that some units get damaged in live gigs due to abuse, rather than poor construction. (1) They were manufactured in Japan, where quality control standards are very high. and also reliability over time. with a professional quality feel usually found only on high end stereos. are also well designed for visibility and durability. exhibit no damage from 'roading'. installed. Thus all my units came without transformers. and the unit shouldn't need to drive long balanced lines. 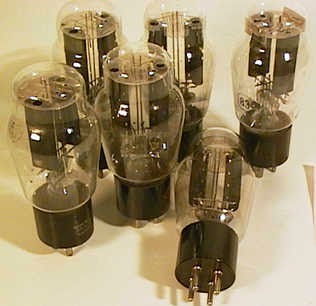 or have input transformers on your power amps. XLR / TRS jacks, or make up short cable adapters. the units and on the back panel for additional jacks. easy to plug in and remove, as per the photos. There is an important trick that nobody is explaining but is paramount if you are hand winding cables on the elbow. People do the elbow wind for speed. and you can untangle it. in the direction of the roll of wire on your arm. gets relieved by the unwound portion spinning to undo the twist you're adding. so practice it until you are sure you really know what you're doing. before you wind up your whole set of cables after a gig. DON'T use the elbow-winding technique. (3) seating the new loop on top of the others, always same side up. You can also restore a cable sometimes, depending upon how the cable has been twisted. and also that the inner wire package has been twisted in relation to the outer housing. to return to their natural positioning (twist-wise). and the inner wire cluster and reinforcement rope/housing. electromagnetic field and RF protection, becoming a 'noisey' cable. Good cables use a braided shield, which can't be damaged by unwinding. CHEAP mic cables use a simpler wound "wrap" which is easily mucked up. to see if its braided. If it isn't, sell the cable and by a better one. Yorkville Sound TL352 PA Cabinet. starting way back in the 80s with Cerwin Vega bins, and JBL horns. 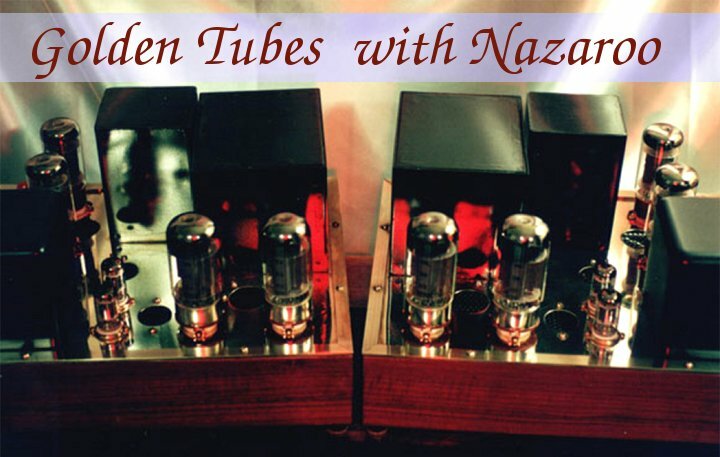 for years, and now coveted tube gear. Long & McQuade Music Stores across Canada. and even near-bulletproof PA gear around. I finally purchased a couple of PA cabinets from their "Pulse Series" line, which is a medium cost build. immune to the cabinet dropping 10 feet. which support the weight of the driver, up to 7 llbs. black enameled steel plates and cooling vent. into the bottom of this cabinet. very credible their claim of a 400 watt power handling capability. to see a good build. upper mid between say 2000 and 6000 Hz. begins to "break up" (flex and develop standing waves). By crossing so low, they let the horn handle this critical range. 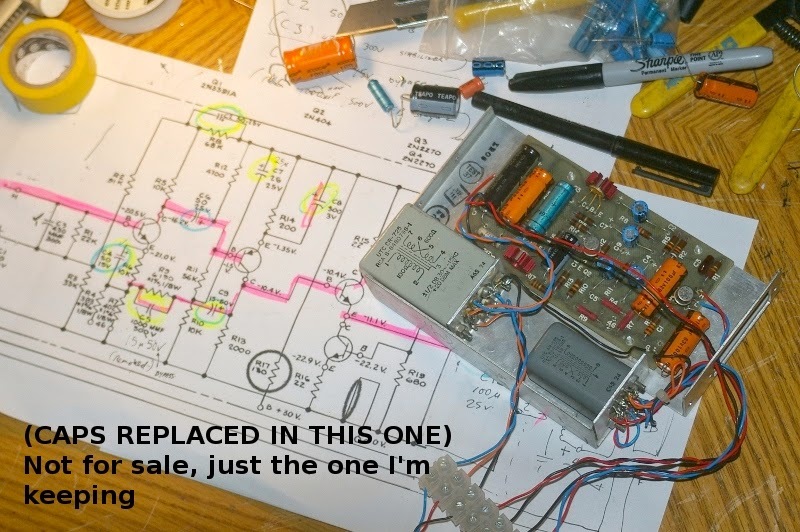 such as the 'lamp bypass' and varistors etc. circuit incase of feedback or overload. with a 4th order LR at 3.5 kHz, and got a very acceptable sound. I had chosen the higher frequency to protect the horn compression driver also. with a lower frequency and protection circuits. relieved of having to provide higher frequency coverage. rather maintain or repair than replace. design specs, as they have produced something like the highest quality product one could hope for, with top notch components and drivers, and a supremely heavy-duty build. and although not that large, two will fill the backseat of a car. You will need a pickup to move an entire PA built around these cabinets. And they are alot easier to lift with two people. but the recessed ABS-style handles seem well-made. The cabinet is covered with a tough plastic/fibreglass type coating that seems very scuff resistant (unlike rugs and paint), and looks like it will hold up visually over time. to leave it as is. was the bargain of the century. Not only a great product, but L&M gave me a warrantee as well!!! one of the most robust components of my rigs. Grill - metal curved grill, non-existant rattle issues. Connectors - Speakon / Phone. My score: 95% of my wishlist met. What equipment did Elvis and Harry Belafonte use to get those sweet sounds? 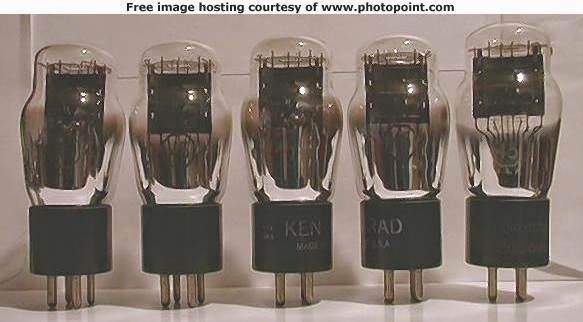 Well, RCA equipment back in the day (1950-1970). 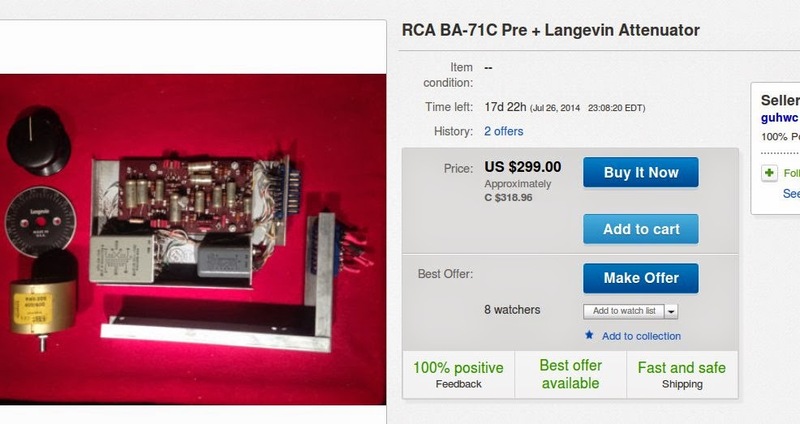 first off the OP7 (tube gear) and finally, in the 60s and 70s, the first transistor preamps, like the BA-71B. The care in design and pioneering skills of the early RCA engineers became legendary, alongside the artists that helped make recording equipment coveted. Being a bit of a packrat, I had picked these up surplus and squirrelled them away to restore and use them. 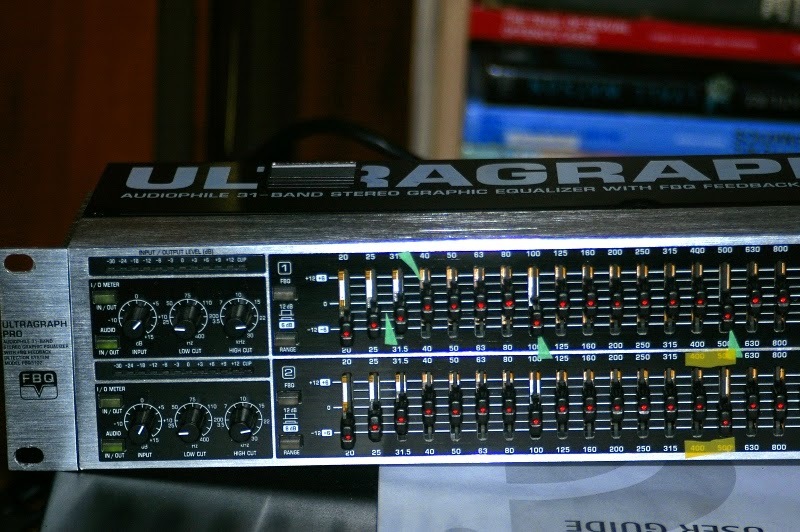 I replaced the wiring and removed the connector sockets, in order to hook them up to XLR plugs in the early 1990s to test them as outboard units. My boss at the time didn't think they amounted to much, as people back then didn't think of these as 'vintage' but just 'recently old'. 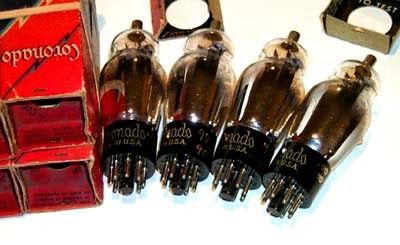 Now however, interest in vintage gear has both revived and expanded to include a wide array of audio gear. I've decided to finally follow through and restore at least one for myself, and possibly sell the others. These units are now fetching interest at a much higher price-point than what I first got them at. 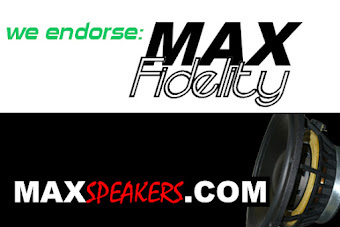 "This equalizer works fine and is easy to use. But I am uncomfortable with the high heat it generates. It gets VERY hot on the back panel around the sub output. It gets so hot in that area, it hurts to keep a finger there. This is very strange as the heat is generated even when the EQ it not wired to anything but the A/C power. It is not on top of warm equipment either. I have observed this high-heat behavior on two units. Two different calls to Behringer yielded two results. The first time it was suggested that I exchange the device, which I did. The second time I was told the heat was O.K. Weee, multiple choice from customer support." 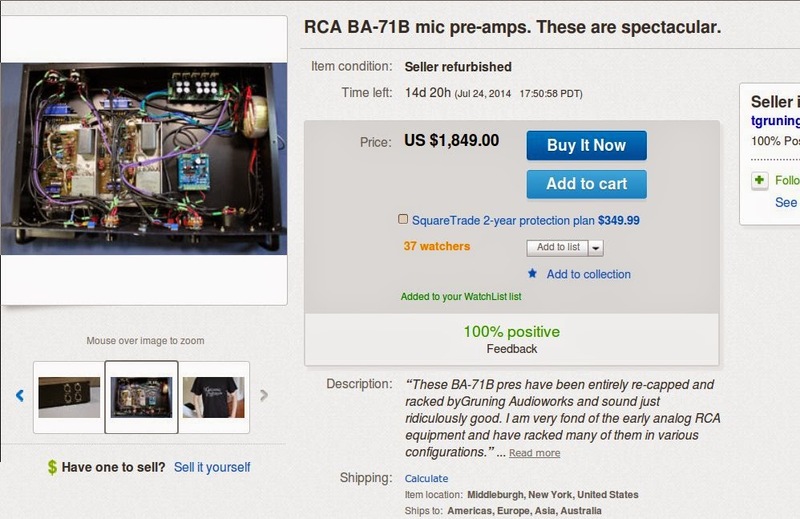 (By Dr. James Williamson on July 15, 2010)"
In fact, one will find (on Musician's Friend, Amazon, and other sites) many mixed reviews with this and other similar products (low end home-studio, inexpensive semi-pro equipment). These units (many brands and models) all seem to fail frequently in partial functions or even completely, after heavy use or leaving them on for extended periods. This can almost always be traced to HEAT PROBLEMS as a result mainly of cutting corners and assuming that consumers will not run the units 24/7 or for more than an hour or so at a time. an adequate heat-transfer rate for continuous use (i.e., extended on-times). On the one hand, you will read great reviews praising the performance of the products, and on the other hand you will also read seemingly contradictory horror stories of how these products fail after only moderate extended use, often just outside the warranty time limits!. This is precisely what is to be expected. and without problems under extended or continuous use. 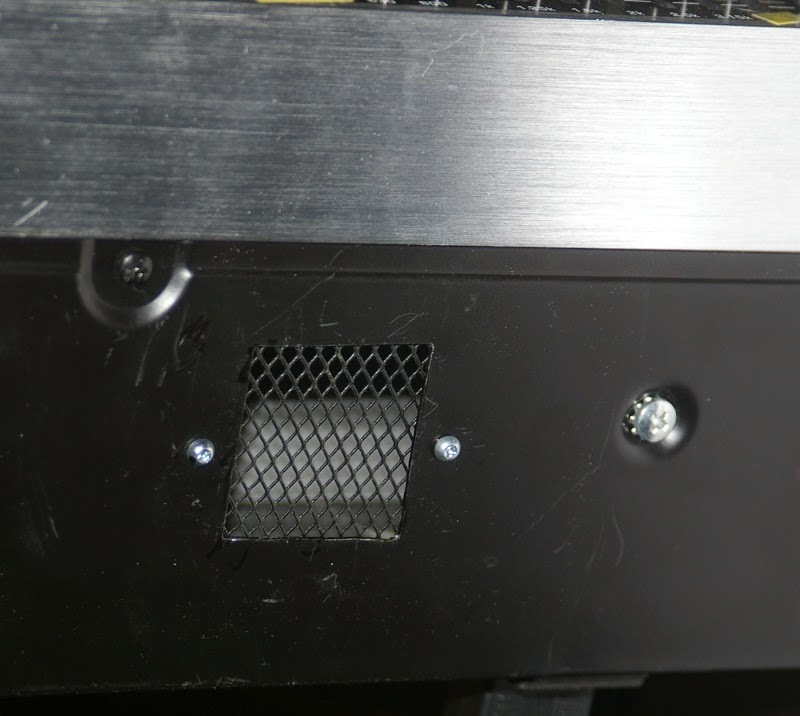 and even adding fan-cooling or larger heat-sinks or metal components. which was not touching the case at all! not being connected directly to the heat-sink. Obviously the real problem was no ventilation, not no heat-sink. transfer heat continuously to the outside without build-up. over the heat-sink fins, and exit the unit at the top. Also of concern if you are 'roading' the unit is to make sure things you do can't introduce more problems: I used some Locktite on the nuts holding the screen in place above, just to make sure that they didn't work loose and start bouncing around inside the case, shorting out electrical components. You can also just use a bit of paint or glue, to make sure screws don't come loose with jiggling over time. UNIT MAY BE OUT OF WARRANTY BUT STAYS COOL! other equipment in a rack. 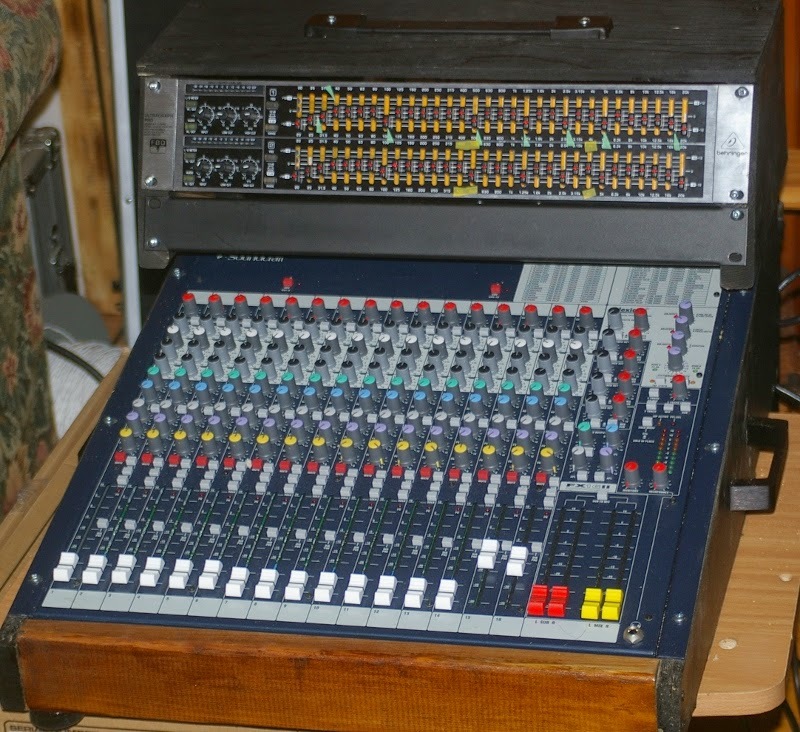 USING A TILTED RACK KEEPS VENTS UNBLOCKED, AND MAKES UNIT EASY TO READ WHILE MIXING. and I had planned to tilt the unit in a special rack. Another way to protect EQ units is to use them properly. subtractive notches to take out room-boom and feedback points. 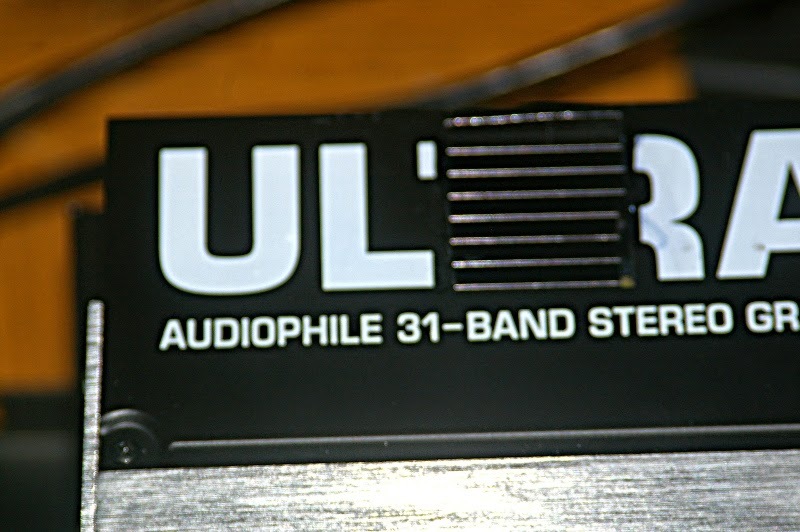 tone controls on the channels and mains, i.e., a parametric EQ. to protect bass speakers and remove harshness from horns. 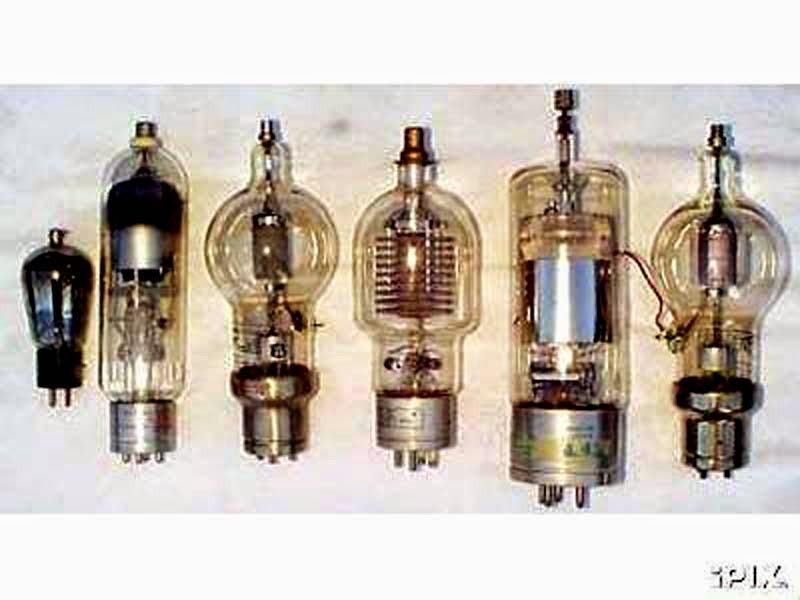 Tube Biasing 101 (Pt 2): 12AX7 bias chart!